For over 100 years Cleveland Steel Tool has been manufacturing punches and dies. 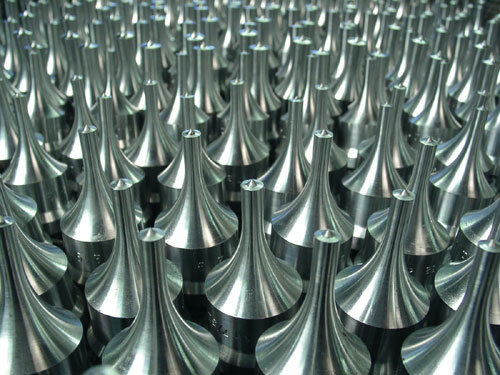 Our mission is to provide our customers with the highest quality tooling and the best deliveries at a fair price. We will not compromise and we will not accept less. We want to exceed your expectations in quality, delivery, tool life, customer service and responsiveness. Click a link above to find out how to maximize tool life, troubleshoot problems, or simply order the right tool for the job. We manufacture and stock punches and dies for any Ironworker. Choose from our standard styles and sizes, or call us for your custom requirements. We have the Ironworker, parts and tooling to fit your needs. Shop by machine type or call our experienced sales department. Our expert engineering department can design what you need. Or, send us a drawing or a sample and we'll manufacture your part to your specifications.